The KFC secret menu is of particular interest, because KFC already boasts such a rich, hearty KFC menu. Taking their greasy favorites to another level requires some additional kick, and the secret menu delivers, offering customers (that know about the KFC secret menu, of course) options like the Triple Down or tantalizing extras you didn’t know were available. The rest of these irresistible secret menu items are below for you to find something new to try before your next KFC visit. 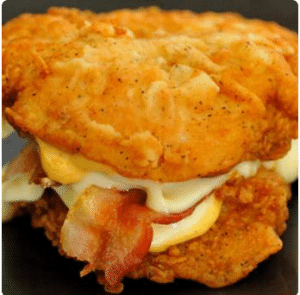 The KFC secret menu is perhaps best known as the place that you can find a chicken burger where the fillings and the bun are made out of chicken. There is much more to this secret menu though. It might not be the biggest or the best that we have covered here on Secret Menus. But it ranks up there and when you focus purely on fried chicken chains, nothing else comes close. 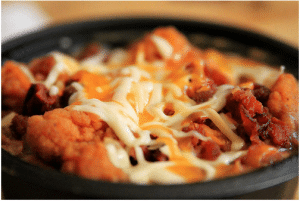 Let’s get some of the basics out of the way first by showing you some favorite KFC secret menu items that can help you to cut calories and to get a healthy feast at a chain not exactly well known for serving healthy food. What is on the Kentucky Fried Chicken (KFC) Secret Menu? If you’re a fan of Hot Pockets, you absolutely have to try them mixed with the other delicious ingredients in a KFC bowl. If you aren’t a fan of Hot Pockets, maybe this is the way to get you to enjoy them. It’s a unique modification of the chicken bowl, which, if the correct ingredients are on deck, comprises of a chicken hot pocket, doused in melted cheese, hot gravy, and piled on with corn. Of course, due to the ability to make your own bowl, this is just a suggested layout for your hot pocket bowl, but either way, it’s a delicious alternative to the Hot Pocket on its own. Ask them for a Hot Pocket bowl, and if they have the ingredients and have made them, they’ll whip one up for you. Its rarity is disappointing, but the best things in life are scarce. Is that even a word? 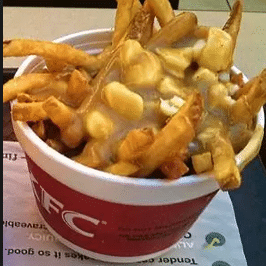 Some people will ask the inevitable question, upon hearing you order “Poutine” off the KFC secret menu, but it is no joke. In fact, it’s a delicacy in Canada that is reproduced by one of the most American restaurants around. That doesn’t stop KFC from making a delicious stew of french fries and cheese curds smothered in hot gravy. I’m not sure how I feel about the combination of foods, as I’m not Canadian, but the positive reviews are irrefutable. 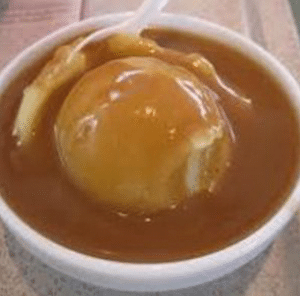 Order Poutine and see if they recognize the name, but if not, it’s as simple as asking for an order of french fries with cheese curds and hot gravy piled on top. Sounds pretty good, eh? This is not for the faint of heart, nor for the light eater. It takes a truly dedicated food connoisseur to tackle this beast, enduring the massive levels of cholesterol, fat, grease, and general deliciousness. When KFC released the Double Down originally, it was all over the news, primarily in infamy, for how extremely greasy and generally unhealthy it is. That being said, since its release, it has had widespread success (the least healthy is often the most irresistible fried food). The Triple Down takes the original beast a step further, with all the ingredients of a Double Down, plus an extra chicken patty, extra bacon, and extra cheese. The extras are a great source of hacks on any secret menu, and the KFC secret menu is no exception. These little extras can be added to the mains mentioned above in order to great a fast food feast. These hacks will also show you ways to get extra things you didn’t think were on the menu, while also pointing you toward big savings. Whenever someone hears those words, “extra bacon”, there’s a little spark in their eye that can’t be duplicated by anything else. I don’t care if it’s the name of your fiancé or your most prized possession; the innate human connection to bacon is something that’s hard to match. Maybe I exaggerate a little, but adding bacon to your typical KFC dining experience is certain to take it to a whole new caliber. Lately, you can get bacon on just about anything, and it comes at a price for a reason – bacon is a commodity. People can’t get enough of it. It’s naturally the fattiest meat and thus the tastiest, so Americans gravitate towards its crispy, savory goodness, topping everything from burgers to salads with it. Just ask the KFC employee for bacon on top of whatever entrée you order, and they’ll top it off with some crispy strips of meat. The cost varies based on where you’re located, but the reward is always worth it. When people read this post, they must think, “I knew that, Mashed Potatoes are one of my favorite sides to add.” Think again. KFC is revolutionizing the way we do mashed potatoes, by offering to literally add them to any entrée of your choosing. 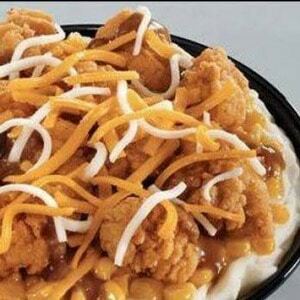 Like the option to add bacon, you can plop a scoop of creamy mashed potatoes doused in rich gravy on whatever fried chicken creation your heart desires. That being said, you can, of course add mashed potatoes as a side, but where’s the fun in that? Try a mashed potato mash up with your favorite entrée and enjoy an eclectic treat. Just ask for Mashed Potatoes to be added to your entrée. They’ll pile it on for you. Enjoy! If you’re used to a family meal with the complimentary biscuits on the side of your chicken, mashed potatoes, mac & cheese, cole slaw, and other irresistible items at KFC, you may be in for a rude awakening when you finish a single entrée and can’t enjoy the warm innards of a biscuit. That problem can be avoided, however, if you just order them as a side. For a low price (it varies by location, so I can’t list an exact number) you can get two warm biscuits on the side to pry open and slather in butter or honey, so it literally melts in your mouth. In all honesty, I’d go to KFC just to get a value pack of biscuits. Maybe I’ll bring it up with management. 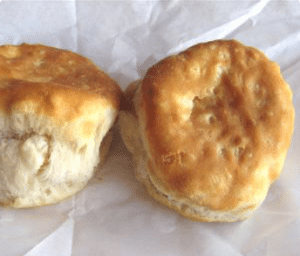 All jokes aside, you’ve been missing out on easily adding two biscuits in order to perfect your dining experience. Ask for two biscuits on the side, and it’s sure to make your meal. 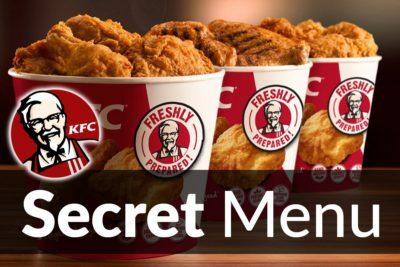 Now that we have the KFC secret menu out of the way, you might want to check more pages on this site. You will almost certainly get a kick out of our pages on chains like Popeyes, and if you like a good secret menu then you should checkout the Starbucks secret menu. Staying on the KFC theme, check the links below to see everything else we have on this top chicken chain. You should also take a peek at our page on National Fried Chicken Day, a day that every fan of this chain will want to pencil into their calendar.